The healing of the anti-christ’s deadly wound is imminent. A world power stands in the way and needs to be removed. A national revolution in the USA will pave the way for the anti-christ’s climb to power. There’s been a healthy discussion and debate going on in the Seventh-day Adventist Church over the past few weeks regarding Bible time prophecies for the end and specifically over what – if anything – will happen next spring. I’ve spent the last month doing deep Bible study and historical research as well as praying and fasting, asking for the Holy Spirit’s leading. What I’m going to share with you today are some of the conclusions of my study. Today however I’m not going to address the specific point about the time prophecies. It’s a very important issue that I’m still studying carefully and asking for the Lord’s leading. I’ll share my perspective on that when I’m ready. However, what the Lord has been showing me, both in scripture and in the history of the Church, is something equally important: the impending collapse of the US. This collapse will trigger all of the end time events we as Adventists are waiting for. My analysis is based on: bible prophecy, history and the nature of the powers that are involved in the great controversy between God and Satan. Because the anti-christ power is an old power, it’s going to be reusing strategies it’s used in the past that have been successful, and we’re going to identify some of those strategies in our study. The anti-christ of course is the papacy. It’s called by other names as well: the sea beast (a beast in Bible prophecy is a king or a nation), the man of perdition, the king of the north, the little horn, etc. Let’s do a quick review of recent developments. You’re familiar with most of these so I’m going to cover them quickly. Pope Benedict resigned. Lightning struck the Vatican that very evening. That rare event – as rare as a Pope’s resignation – was captured and broadcast by every television network. The Lord was saying “Pay attention, this is significant”. In the scriptures Satan is associated with lightning. Speaking to the disciples, Jesus said to them: “I beheld Satan as lightning fall from heaven” (Luke 10:18). Pope Francis’ inauguration. He is the first Jesuit Pope. The Jesuits have as part of their mission statement to eradicate heretics at any cost and to protect the office of the Pope. Heretics are Protestants. Pope Francis sent an emissary, Bishop Tony Palmer, to an American evangelical conference organized by Kenneth Copeland. Tony Palmer brought a message of brotherhood and unity with the Church of Rome. In a dramatic turn of events Tony Palmer died the very next month. Over the course of the next couple of years American Evangelicals continued to develop their ties with the papacy including visits to the Vatican. Pope Francis published his encyclical on the environment, “Laudato Si”. One key proposal is a weekly day of rest for the environment. That day would be – you guessed it – Sunday. Pope Francis comes to the US on a very strategic visit. He was very deliberate in affirming his role as both head of state and head of church. Every location that he visited and every event where he appeared was a statement of intention. He visited key venues associated with American government, finance and political history. Throughout his US visit, millions of people turned out to see the Pope. Let’s revisit the key milestones of his US itinerary. Pope Francis was welcomed by President Obama at the White House. He addressed a joint meeting of Congress, the first Pope in history to do so. While in DC he covered both the executive and legislative branches of government. Catholics already control the Supreme Court: six out of 9 Chief Justices are Catholic. Pope Francis then addressed the United Nations General Assembly on strategies to combat poverty and protect the environment – both topics of interest to other heads of state. This was his intervention as global world leader. While in New York – America’s financial capital – Pope Francis also visited the 9/11 Memorial, still an open wound in the American collective psyche, a reminder of our vulnerability as a nation. The Pope then traveled to Philadelphia where he visited Liberty Hall. Liberty Hall is where the US Constitution was signed. There he gave a speech about immigration and religious freedom. Religious freedom reminds us of how in the Dark Ages Papal Rome burned God’s saints at the stake for believing in bible truth. Immigration is a Trojan Horse for the Vatican. They foster massive immigration of Catholics into target countries. For example, the heavy immigration of Irish Catholics in the early days of our nation, and now the large influx of Mexicans across the border. The numbers change the balance of power in target territories. The Pope’s last major intervention on US soil was at the World Meeting of Families, where he talked about the importance of a family day of rest which of course is the Roman day of the sun. Pope Francis very strategically planted his banner at key locations in American politics, finance and history. Note also these two very significant facts: The Pope addressed Congress on the Day of Atonement of the year 2015. The Day of Atonement is a day of judgment. The year 2015 was also the last year of a sabbatical cycle of 7 years. The last year of a 7-year cycle is a year of release. But for those who are not honoring their covenant with God it becomes a year of judgment. Pope declares a jubilee year or “Year of Mercy”. Normally these take place every 50 years, but Pope Francis took the initiative to call one that year. This was an incredibly blasphemous ceremony where the Pope was mimicking what happens in heaven when the door of mercy closes an individual or a people. Pope Francis was pretending to open and close the door of the Most Holy Place, standing in for Jesus our High Priest who alone has the key of David. Jesus alone opens and no man shuts, and shuts and no man opens. 500th Anniversary of the Protestant Reformation. The Roman Catholic church and global Protestant bodies signed a joint declaration of reconciliation described as “a sign of healing after 500 years of division”. I do believe this is a sign announcing that the total healing of the deadly papal wound is imminent. The Pope has been tireless in affirming himself as a religious world leader, meeting with Jewish leaders in Israel, Orthodox church leaders and Islamic leaders. It’s interesting to note however that Pope Francis chose not to meet the Dalai Lama for fear of upsetting the Chinese government. The Pope is an astute politician. He’s all for religious unity except if it jeopardizes any of his key political alliances. Pope Francis attends a landmark meeting of the Ecumenical Movement in Geneva, organized by the World Council of Churches. The meeting was attended by key leaders of all Christian and Orthodox groups from many countries. Pope Francis was the guest of honor at the meeting. His keynote address was on reconciliation, unity and fraternity of all churches through charity and evangelistic mission. Let’s now turn our attention to the Earth Beast, also called the False Prophet of Revelation. In the Book of Revelation Chapter 13 we read about the earth beast, or the United States of America. This is the same chapter where the sea beast or the papacy is introduced, signaling that there’s a strong link between both beasts or nations. When the US enters into an unholy alliance with Apostate Protestantism it’s called the False Prophet. Let’s break this down. What is “Apostate Protestantism”? An apostate is one who commits apostasy. An apostate is a person who renounces or abandons a religious belief or principle. Why is the alliance of Protestants with the state considered “unholy”? What I’m going to describe now is the Biblical relationship that should exist between God and the Church, whether the Old Testament Church (Israel) or the New Testament Church. In the Bible a Church is symbolized by a woman. The Lord wants His church to be as a chaste woman who is faithful to Him alone. She is to receive all her power and sustenance from Him. She should not seek other “husbands”. Time and again in the Old Testament the Lord would chastise Israel for being unfaithful to Him and committing spiritual fornication by chasing after other gods or powers. The Apostle Paul explains the relationship between Christ and His church in Ephesians 5: “23 For the husband is the head of the wife, even as Christ is the head of the church: and he is the saviour of the body. 24 Therefore as the church is subject unto Christ, so let the wives be to their own husbands in everything. 25 Husbands, love your wives, even as Christ also loved the church, and gave himself for it”. Donald Trump is elected President of the US. The Christian vote was the decisive factor in the election. Trump obtained roughly 80% of the Evangelical vote and 55% of the Catholic vote. The reason: “panic at the precipitous decline of Christianity in US society”. Conservative Evangelicals needed a President who would push their agenda and policies. Donald Trump opened the doors of the White House to the Evangelical leadership, also known as the “Moral Majority”. They have privileged access to the President and are influencing policy decisions. They also occupy key positions in Trump’s staff. Many Evangelicals don’t endorse Trump as a person because of his moral failings. But they support him because he’s implementing their conservative agenda and policies. Evangelicals look the other way at Donald Trump’s licentiousness as long as he keeps his promises to them. In exchange for their support the President has been keeping his end of the bargain through “moral” legislation and the appointment of conservative judges to enforce it. Let me read you this recent statement from the Charlotte Observer: “Above all, evangelicals have felt abandoned by party politics. Even after they became a critical Republican voting bloc, they saw no change in the trajectory of American culture. Until Donald Trump entered the Republican primary… Trump could restore America in a way George W. Bush had not”. Trump met with a group of pastors and other Christian Evangelical leaders gathered in the State Dining Room. He warned them of dire consequences to their congregations should Republicans lose in November’s midterm elections. Basically he told them they would lose everything they’d gained with his administration, and that there would be violence if they lost. “You have tremendous power. You were saying, in this room, you have people who preach to almost 200 million people … I just ask you to go out and make sure all of your people vote. Because if they don’t — it’s November 6 — if they don’t vote, we’re going to have a miserable two years and we’re going to have, frankly, a very hard period of time,” he said. “You’re one election away from losing everything that you’ve gotten,” he added. Trump warns of violence if he loses the mid-term elections. Hold that thought because we’ll come back to this later in the study. Do you see how Trump is negotiating with these Evangelical leaders to support him? It’s a give and take. They’ve obtained a number of wins from the Trump Administration. Now he’s asking them to return the favor by mobilizing their people to vote. This is what happens when the Church gets in bed with the State. This is why the Lord calls it spiritual fornication. In fact, I’ve actually seen cartoons on the internet depicting Trump in bed with Evangelical leaders. It dishonors God for His Church to be perceived in this way and to be playing the harlot with the politicians of the world. A recent NBC survey concluded that 80% of Americans feel that the nation is divided, and 90% believe that this is a serious problem. The issue of a divided nation is critically important and has very serious prophetic implications. We’ll come back to this shortly. All of the events we’ve just reviewed are extremely significant in terms of Bible prophecy. Momentum is building up that will catalyze other rapid developments. But in order to fully appreciate and be able to decode what’s happening, we need to formulate some key questions, and then go to the Bible and to sacred history for the answers. Is the papacy’s deadly wound already healed, yes or no? If not, why not, and what will it take for it to heal? How are the papacy’s full power and authority restored? What can we expect once the papacy is back in power? Let’s read about the origin of this anti-christ beast. We often refer to it as the first beast of Revelation 13 because a second beast is described in the same chapter. “And I stood upon the sand of the sea, and saw a beast rise up out of the sea, having seven heads and ten horns, and upon his horns ten crowns, and upon his heads the name of blasphemy. 2 And the beast which I saw was like unto a leopard, and his feet were as the feet of a bear, and his mouth as the mouth of a lion: and the dragon gave him his power, and his seat, and great authority. 3 And I saw one of his heads as it were wounded to death; and his deadly wound was healed: and all the world wondered after the beast” (Revelation 13:1-3). This is the same beast as the one in Daniel 7. The name on his heads is 666 (Revelation 13:18) which corresponds to the latin “Vicarius Filli Dei”, which means Vicar of the Son of God. Vicar of the Son of God is one of the Pope’s titles, which used to be engraved on his tiara. The dragon gave the beast his power, throne and authority. Who is the dragon? We know from Revelation 12:9 that the dragon is Satan: “So the great dragon was cast out, that serpent of old, called the Devil and Satan, who deceives the whole world”. The Bible also calls “dragon” any earthly kingdom that Satan uses to accomplish his agenda, in this case Imperial Rome. (Egypt is another example of this. Pharaoh is also called the great dragon in the Book of Ezekiel chapters 29 and 32). So Satan worked through Imperial Rome also called Pagan Rome to give the papacy its power, throne and authority. One of his heads had been mortally wounded. This means that the papacy lost both its spiritual and temporal or worldly power and authority. This happened in 1798 when the French army took the Pope captive to France. The papacy ruled during 1260 years – from 538 to 1798. Subsequently the deadly wound was healed. Once the deadly wound is healed, the whole world wonders after the beast. I went back to history to investigate how the papacy got its power and authority in the first place. Chances are that the same types of events that put it in power are needed to restore its power. Therefore, by applying the historical template of the establishment of the papacy we’ll be able to fill-in-the-blanks and anticipate the events and circumstances needed to restore its power. And there is nothing new under the sun”. “Now all these things happened to them as examples, and they were written for our admonition, upon whom the ends of the ages have come”. The word “admonition” can also be translated as “instruction”. The papacy was established in two key milestones in the years 533 and 538 AD. In the year 533 AD the Emperor Justinian issued a decree where he named the Bishop of Rome, another title for the Pope, to be the head of all the churches. Notice three things here. First, that Justinian crowns the Pope so to speak as a religious leader, not as a state leader. At this point the state leader was still Emperor Justinian. Second, Justinian emits a second witness, so that the thing could be established. (There’s a Bible principle that says “In the mouth of two or three witnesses every word shall be established – Matthew 18:16 and other scriptures”). Third, notice how at the very origin the papacy was declared to be a persecuting power. Although it was in 533 that Justinian issued the decree that gave power and authority to the Bishop of Rome over all the churches, we take the year 538 as the landmark year for the beginning of the papacy’s rule. Why? What happened in 538? In Daniel 7:7-8 the Bible describes in symbolic language that “the little horn”, one of the names for anti-christ, plucked out three kingdoms before him. These three kingdoms – the Vandals, the Heruli and the Otrogoths – rejected papal doctrines and refused to accept the Pope’s authority. The Bishop of Rome vanquished the Ostrogoths in 538, the last of the three tribes which contested the Pope’s authority. By defeating the Ostrogoths the Pope was able to assert himself as sovereign ruler over the entire region. We can therefore pinpoint the date for the establishment of papal Rome as an independent power at 538 AD. In its first phase of the papal ascension to power, two things happened – the Justinian decree and the vanquishing of the Ostrogoths – that allowed the papacy to be consolidated as an independent political power in the known world. Almost immediately after establishment of the papcy, Emperor Justinian put in place a series of legal codes and laws called the Justinian Code. The Justinian Code is actually the basis for all of our modern codes of law. These laws legalized the persecution of heretics within the Roman Empire. Heretics were defined as anyone who wasn’t affiliated with the Roman Catholic Church or who disagreed with Church views. The Justinian religious laws were discriminatory against Jews, Samaritans and anyone any other dissidents. Justinian established laws against Sabbath worship, against reading the Bible, against houses of worship, and for the strict observance of Sunday as an official day of rest. Justinian also legislated that heretics could have no defense witnesses in a Roman court of law. It went so far as to make it illegal for so-called heretics to receive an inheritance, an estate or a trust. Basically he legalized religious persecution. 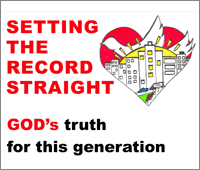 Because history repeats itself, after the healing of the deadly wound prophesied in Revelation 13:3 we can safely expect the quick passage of the national Sunday law, together with laws against the study of God’s word and against congregating in homes. It took several centuries for the papacy to grow its power base until it became the dominant political power in what came to be called “the Holy Roman Empire”. This required the total demise of the Pagan Roman Empire. The Pagan or Imperial Roman Empire died through continued invasions by the so-called “barbarian tribes” as well as internal divisions that split the empire into east and west. “6 And now you know what is restraining, that he may be revealed in his own time. 7 For the mystery of lawlessness is already at work; only He who now restrains will do so until He is taken out of the way. 8 And then the lawless one will be revealed, whom the Lord will consume with the breath of His mouth and destroy with the brightness of His coming” (2 Thessalonians 2:6-8). This prophecy by Paul has a dual fulfillment: it was fulfilled during the Dark Ages and it will be fulfilled again in our time. There was a power restraining then, and there’s a power restraining now. What power was restraining the papacy back in the Dark Ages from assuming full temporal power? No, it wasn’t the Holy Spirit as our Evangelical brothers and sisters teach. If so Paul would’ve simply said it was the Holy Spirit. Paul didn’t state it clearly because he could’ve been accused of treason or sedition if he implied that the Roman Emperor would be removed. Let’s read a few statements including some by early church fathers. Henry Edward Manning, in the book “The Temporal Power of the Vicar of Jesus Christ” (London: Burns & Lambert, second edition, 1862, pp. 11-13) said that when the civil power of Rome was removed by the barbarians, the bishop of Rome filled the vacuum and became the arbiter in civil affairs as well as in religious. “What obstacle is there but the Roman state, the falling away of which, by being scattered into ten kingdoms, shall introduce Antichrist upon (its own ruins)? ‘And then shall be revealed the wicked one.’” ‘On the Resurrection of the Flesh,’chapter24; Ante-Nicene Fathers, vol. III, p. 563 [New York: Charles Scribner’s Sons, 1908]. “Long ages ago, when Rome through the neglect of the Western emperors was left to the mercy of the barbarous hordes, the Romans turned to one figure for aid and protection, and asked him to rule them; and thus, in this simple manner, the best title of all to kingly right, commenced the temporal sovereignty of the Popes. And meekly stepping to the throne of Caesar, the Vicar of Christ took up the scepter to which the emperors and kings of Europe were to bow in reverence through so many ages.” (James P. Conroy, American Catholic Quarterly Review, April, 1911). “Let the restraints now imposed by secular governments be removed and Rome be reinstated in her former power, and there would speedily be a revival of her tyranny and persecution.” (Ellen G. White, The Great Controversy, p. 564). After experiencing the political instability and bloody divisions within the Pagan Roman Empire, the citizens literally begged the Bishop of Rome to step in and take control. He therefore became the head of the empire which inaugurated the era we call Papal Rome. The key question for us is: Who is restraining the Pope’s ascension today? What’s going to happen that will make the citizens of America ask Pope Francis to step in and take over? We’ll come back to that shortly. History and the Bible therefore are giving us two witnesses that the Pope’s power came from the removal of the powers that hindered it. The Pope’s climb to power over the kings of western and eastern Europe was a long historical process. We’ll see from scripture that in the end time this process will be dramatically accelerated and will be of short duration because “the final movements will be rapid ones”. Has the deadly wound been healed yes or no? How will the papacy’s power be restored in our generation? What is the restraining power that needs to be removed so that the papacy can blossom again into world dominance? Is the Deadly Wound Healed? One question I’ve been asking myself is whether the deadly wound is already healed or not. Pope Francis is considered a media celebrity and a political figure of influence. Could it be that the deadly wound is already healed and we blind Laodecians haven’t seen it? Some of you might be thinking: Wasn’t the deadly wound already healed in 1929 by the signing of the Lateran Concordat? That’s when Mussolini, the Italian head of state, recognized the Pope as head of the Holy See and recognized Vatican City as an independent state. Mussolini had sought to gain the church’s support for his Fascist regime by granting the Vatican many special privileges. In my view there are two reasons why the 1929 Lateran Concordat doesn’t qualify as the definitive healing of the wound, although it definitely got the papacy on the road back to restoration. 1) This affirmed the Pope as head of state of Vatican City, but gave him no power over the churches. 2) Subsequently the Italian government replaced the Lateran Pact with another agreement that removed Roman Catholicism as the official religion of the Italian state. So instead of confirming the Lateran Concordat, the new pact signed in 1984 annulled and replaced the Lateran Concordat. The new pact actually represents a loss of power for the papacy and a victory for the secular state of Italy. The Pope is designated as “head of all the churches” by the world’s supreme power at the time, the Roman Emperor. This is the Pope’s spiritual power. In both phases of its climb to power, a rival power that contested the Pope’s authority is removed. This removal allowed the Pope to assert his temporal or political power. This process is repeated with the removal of the Roman Emperor. The Pope stepped into his place. Therefore two conditions are required for the full restoration of the Pope’s political power in our generation. Restoration of spiritual power: The dragon working through some power will declare the Pope to be the head of all the churches, whether of “One World Religion” or at least of all Chrstian churches. This has not happened yet. The joint declaration signed in October of 2017 by the Pope and the heads of other Christian Churches was intended to leave the past behind and heal the division caused by the Protestant Reformation. This declaration did not heal the wound. However, it was a harbinger of things to come. I believe that the joint declaration is a sign that the healing of the deadly wound is imminent. I’ll give you some additional evidence to prove that. Restoration of temporal or political power: A rival power needs to be pushed out so that the Pope can have undisputed world power. Who might that rival be? This is an incredibly critical question. I’ll give you the short answer momentarily and the long answer will be in Part 2 of this study. In 1798 the French general Napoleon Bonaparte dethrones the papacy and takes him captive. Revelation 13:10 tells us “He that leadeth into captivity shall go into captivity: he that killeth with the sword must be killed with the sword”. The first half of this prophecy is fulfilled in 1798 when the Pope is taken captive and symbolically the papacy is “killed by the sword”, meaning the military. The second half of this prophecy will be fulfilled at the end, when the beast is cast into the lake of fire (Revelation 19:20). Some power that the Bible doesn’t clearly identify heals the deadly wound. Our whole analysis in this study consists of trying to understand what gave the beast its power in the first place, therefore what it will take to restore its power. The whole world admires the beast and follows the beast. It’s only at this stage in the sequence of events that a Sunday Law could be successfully enforced in the US and across the world. Satan himself will make an appearance, masquerading as an angel of light (2 Corinthians 11:14). And the whole world will worship Satan which gave the beast its power. Now that we have a clear picture of the sequence of events, let’s go back to figuring out what it’s going to take for the wound to be healed, and who will heal it. Revelation 13:3: “And I saw one of his heads as it were wounded to death; and his deadly wound was healed: and all the world wondered after the beast”. Revelation 13:12: “And he exerciseth all the power of the first beast before him, and causeth the earth and them which dwell therein to worship the first beast, whose deadly wound was healed”. This verse confirms that the worship of the beast – and any obedience to the beast – comes AFTER the wound is healed. Revelation 13:14-15: “And deceiveth them that dwell on the earth by the means of those miracles which he had power to do in the sight of the beast; saying to them that dwell on the earth, that they should make an image to the beast, which had the wound by a sword, and did live. And he had power to give life unto the image of the beast, that the image of the beast should both speak, and cause that as many as would not worship the image of the beast should be killed”. These two verses confirm that the wound would be given by the sword, meaning the military. Remember that when John the Revelator wrote this it was future for him. The Bible makes it clear that it’s the earth beast who will heal the wound and resurrect the anti-christpower by giving life to a system which is a likeness of the papal system. This will be a New World Order with the pope at the helm. This New World Order would start in the United States and then quickly spread to the rest of the world. Before that happens, the current political system and economic order of the US would have to collapse. The US is the rival power that stands in the way of the papacy’s ascent to power. In the Dark Ages it was the Roman Emperor, the head of the dragon state, that declared the pope to be head of all the churches. At the end of time when this process is repeated, it will be the head of state of the earth beast power – the False Prophet nation, i.e. the United States – that will declare the pope to be head of all the churches. The Bible says that the US “speaks as a dragon” (Revelation13:11). Clearly that’s unthinkable today. But a great crisis, huge chaos will erupt in the US in just a few months. It will cause this country to affirm the supremacy of the Pope’s spiritual leadership over all the other religious leaders of the world. That great crisis is a national revolution. The current state of internal division that we talked about earlier will take us to a revolution, because “a kingdom divided against itself is brought to desolation (Luke 11:17)”. This revolution will be much crueler and more violent than the American Civil War ever was. The affirmation of the Pope’s spiritual supremacy will be followed by the invitation to come in and take over the government, in whatever guise or fashion that will be presented. What government will that be? It will be the US government. The US government will be given over to the Pope, offered to the Pope, for him to come in and take his seat, power and authority. It may appear that the US still exists – there will be a facade of national government. But in reality, Rome will sit on the throne and run the show, with the US being its puppet. The current US order – economic, political and social – will emerge from the revolution completely transformed. The US will become a totalitarian, persecuting power, just as Rome used to be. The seeds of that new system or new order have already been planted and will soon yield their fruit. In addition to scripture and the historical templates we’ve applied in our analysis, I want to give you the closing evidence for the imminence of the healing of the wound. 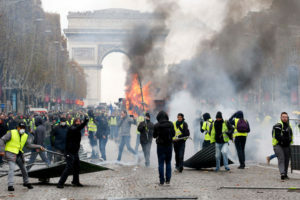 If you’ve watched the international news lately you know that France is in a state of national crisis right now. There’s intense rioting in the streets by the people. I want to stress that: these protests are by the people. There may be some left or right-wing infiltrators as always in these types of movements, but the bulk of the people protesting are normal French people. They’ve just had it with President Macron’s economic policies. Specifically, it was the application of a fuel tax of 23% that drove the people to the streets in very large numbers. You may recall from your history classes that the French and American revolutions were very close on the historical timeline. The American Revolution started in 1775 and ended in 1783. The French Revolution started in 1789 and ended in 1799 – one of the key drivers was taxation. Both revolutions had common values: liberty, equality, fraternity, a government by the people and for the people, and a strong rejection of the ruling monarchy. Both revolutions completely changed the existing order of each respective country. A totally new order emerged – democratic republicanism – that quickly spread across the world. I believe the Lord is showing us that history will be repeated and that both countries will once again go through a revolution at about the same time in history. These two revolutions will birth a New World Order nationally and then internationally. “11 And do this, knowing the time, that now it is high time to awake out of sleep; for now our salvation is nearer than when we first believed. 12 The night is far spent, the day is at hand. Therefore let us cast off the works of darkness, and let us put on the armor of light” (Romans 13:11). Be sure to come back for Part 2 of this study! May God bless you. Tagged adventist, ages, american, anti-christ wound, antichrist, Bible, biblical, bishop, christ, code, Daniel, dark, dark ages, deadly, deadly wound, Donald Trump, dual, dual fulfillment, emperor, Evangelicals, events, false, france, francis, french, fulfillment, God, government, historical, history, Holy Roman Empire, Jesus, justinian, law, majority, moral, moral majority, national revolution, new, of, one, order, ostrogoths, papacy, persecution, Pope, prophecy, prophet, prophetic, prophetic fulfillment, religious, religious persecution, Revelation, revolution, Roman Empire, Rome, Satan, states, Sunday, Sunday Law, template, Trump, united, United States, US, US government, usa, Vatican, verse, world, worship, wound. Blessed Sabbath to you! Thank you for this and all other podcasts! You gave me a clear understanding of “papal Rome” I’ve been sadden at the strife and negativity many have had against Bro Gates and the other Elder, this is their thoughts on the matter, all are entitled to speak as they will, I feel, such hatred is of satan and they don’t see this! I love all whether I agree or no! God has the last word in all! Thanks can’t wait for part 2! Thank you! Yes, Jesus is coming much sooner than we think. 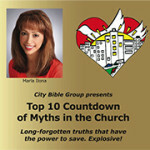 Stay tuned for the next few podcasts which will all be on end time prophecy. Pleese,the name (author) of this material, of this study. Thank you.